Bullitt County Chamber of Commerce! Welcome to Bullitt County, Kentucky! Situated between two metropolitan areas, Bullitt County continues to be one of the fastest growing counties in the state and our families enjoy the best of both suburban and urban life. 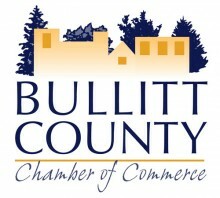 The Bullitt County Chamber of Commerce is a coalition of area businesses. We work together to help businesses and community organizations succeed in our area and improve quality of life in Bullitt County. 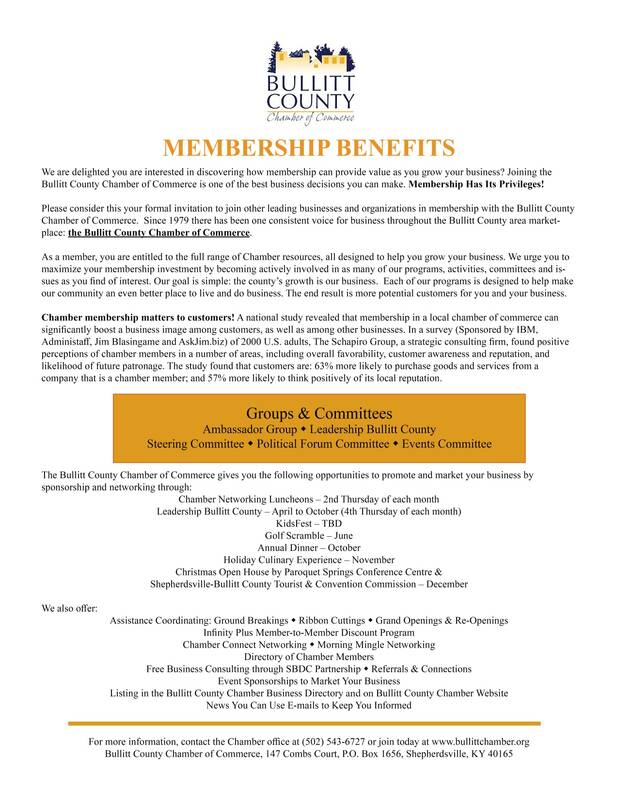 The Chamber also organizes various meetings and events, inviting members and community partners from both the public and private sectors for productive discussions on how to advance the interests of the local business community and Bullitt County as a whole. The Bullitt County Chamber belongs to the Members, so I want to encourage you to unite, to get involved and to stay involved in our Chamber and our community. Together we can make a difference. For more information on how you can get involved, please stop by the Chamber office located on the second floor of The Porter Building at 162 S. Buckman St., Shepherdsville, KY 40165. You can also contact the Chamber Executive Assistant Cindy Devine at (502) 543-6727, or Cindy@bullittchamber.org.